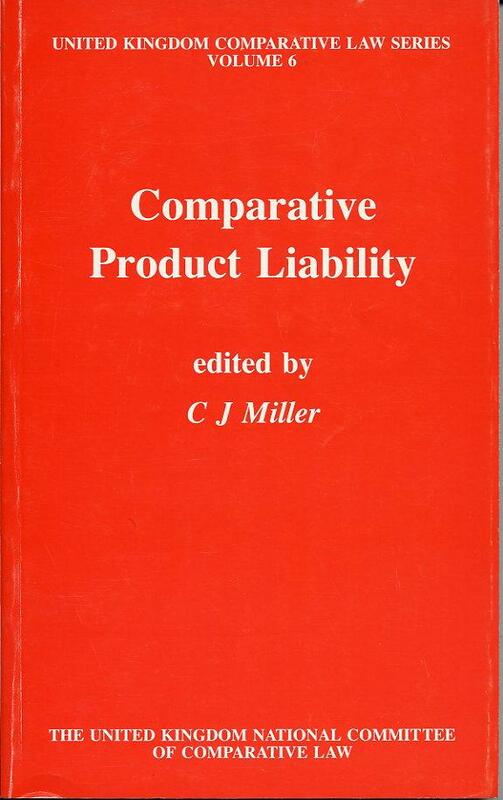 This book consists of revised versions of the papers on product liability which were presented at the United Kingdom National Committee of Comparative Law held in the University of Edinburgh in September 1984. These papers view 'liabilty' from the perspective of different jurisdictions which include France, Germany, Sweden, Canada and the UK. "UKNCCL 6 - Comparative Product Liability"